If you haven't been through at least one stock market crash, you would not have known what it really means to survive in the market. The stock market has been in an uptrend since 2010 and those who have just started trading have never been in a really bad stock crash before. 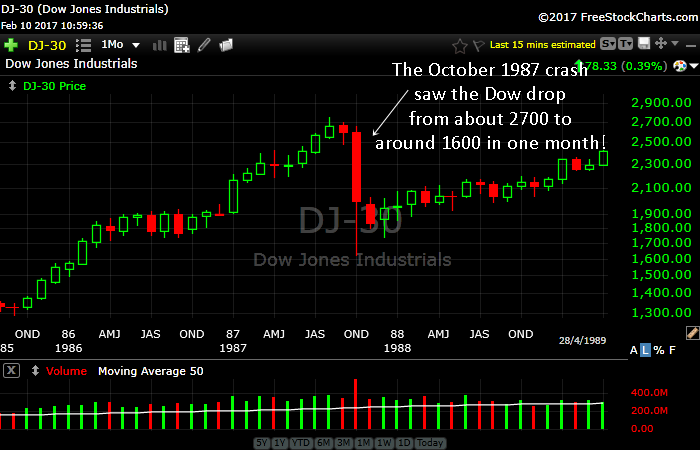 The chart above shows the monthly chart of the Dow Jones Industrial Average. 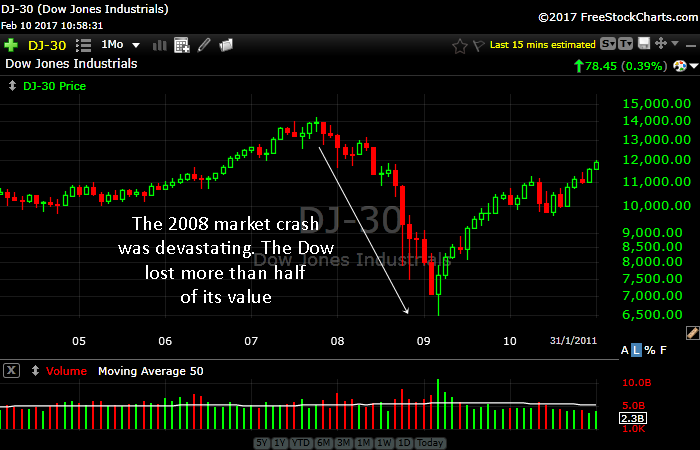 I was there when the stock market collapsed in 2008 and it was a really devastating experience. Companies were being decimated, millions of people lost their jobs and everyone lost hope. Then came Obama and he ran on the promise of Hope and he took office in 2009. Looking at the monthly chart, I would say that this President has done more for the economy than many past presidents. 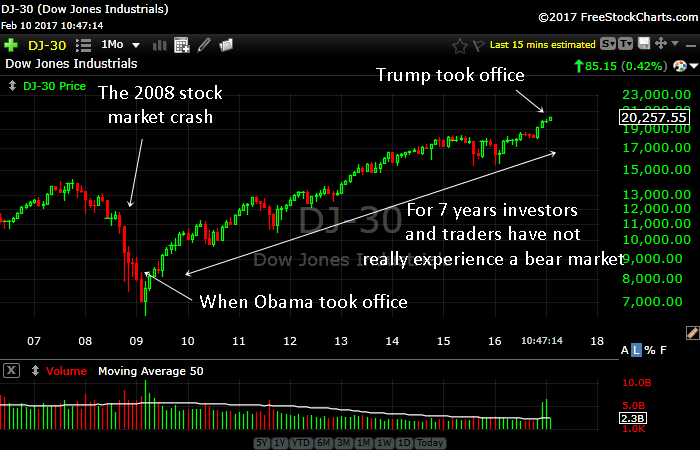 The stock market is a leading indicator of the health of our nation and a rising stock market after Obama took office is a testament to the economic success of his policies. When Trump took office, the market also exploded higher. Although we have an irrational President who makes stupid statement (and tweets) at times, investors and market participants seem to think that Trump will be good for business and good for the economy. I believe that too. However, its a bit too early to jump to concrete conclusions. At the time of writing this article, its only February 2017 and Trump is still in his honeymoon period. But if all things go well and as planned, I believe Trump will continue to expand our economy. 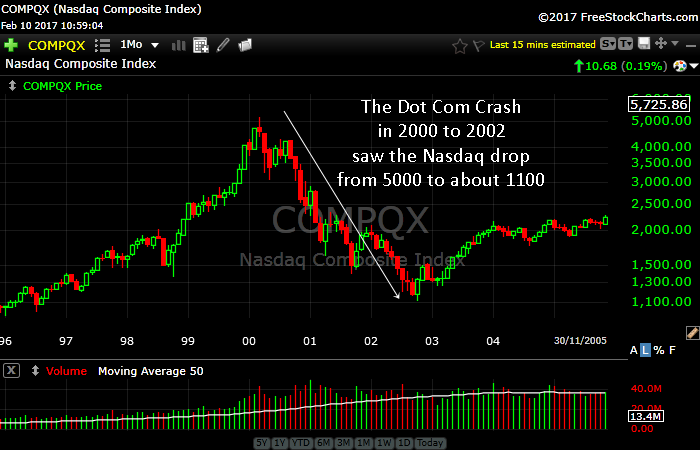 As a trader who look at charts, I like to study past market crashes and see how they look like. I put them here so you can see how they are. The charts seem to tell a story of their own. There are 2 things in common that we can learn after studying these charts. 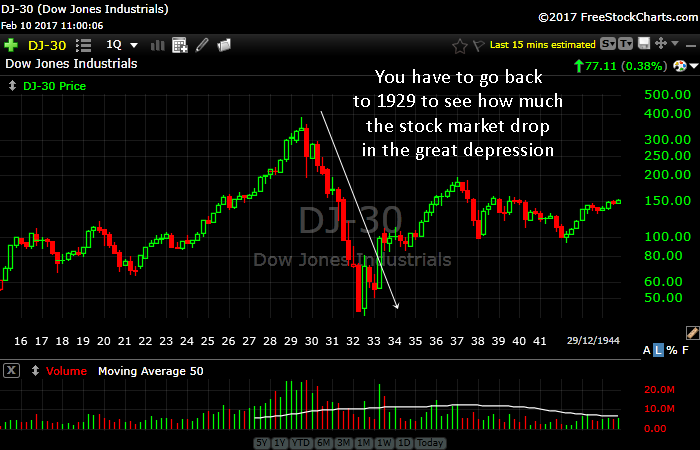 The stock market goes through cycles. It goes through 4 stages which you can read about in this article The 4 stages that every stock and market goes through. The US is the most vibrant and resilient nation and economy in the world. No matter how hard we fall, we always bounce back and make new highs. Never bet against America.